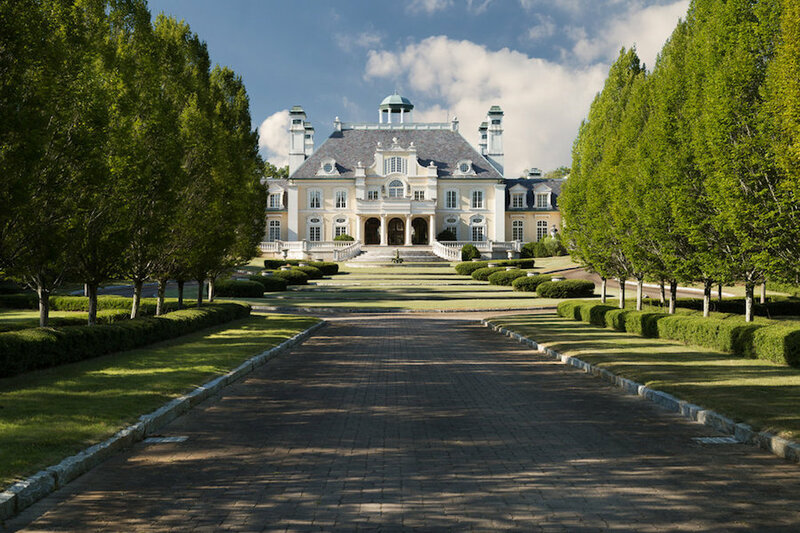 At 54,000 square feet, Château Montagel is one of the largest private homes in the United States and on November 29, 2016 December 20, 2016 it could be selling for a fraction of the original $30-million it cost to construct. 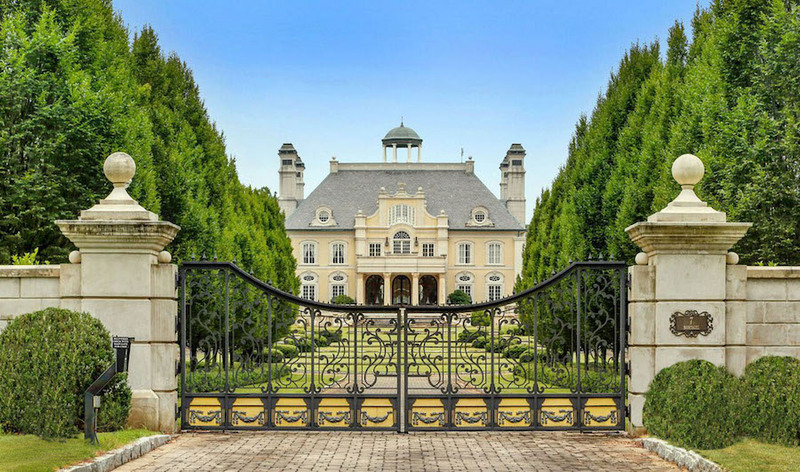 It is currently listed at $9.9-million and will be auctioned with an unpublished reserve. 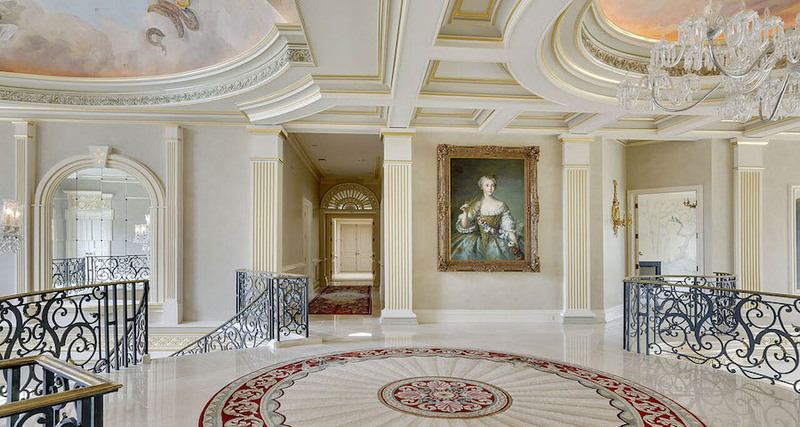 Step over the threshold and into the grand foyer of Château Montagel and be transported back to 18th-Century France to your very own countryside Château. 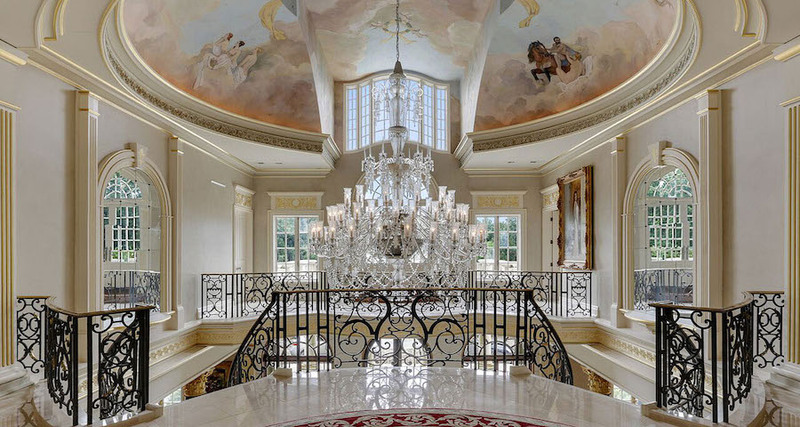 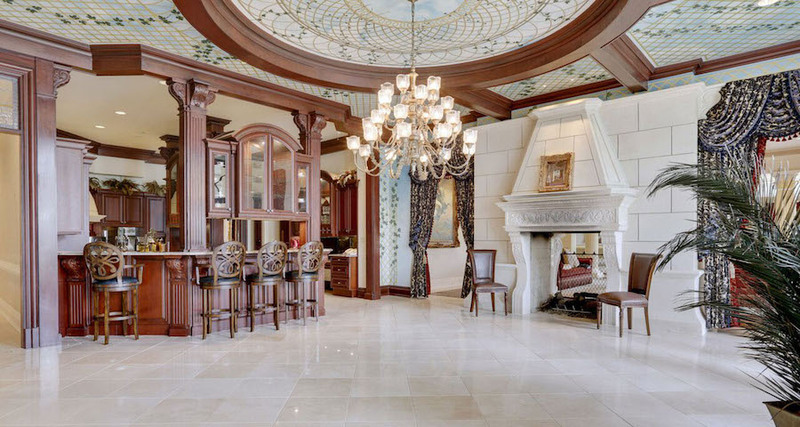 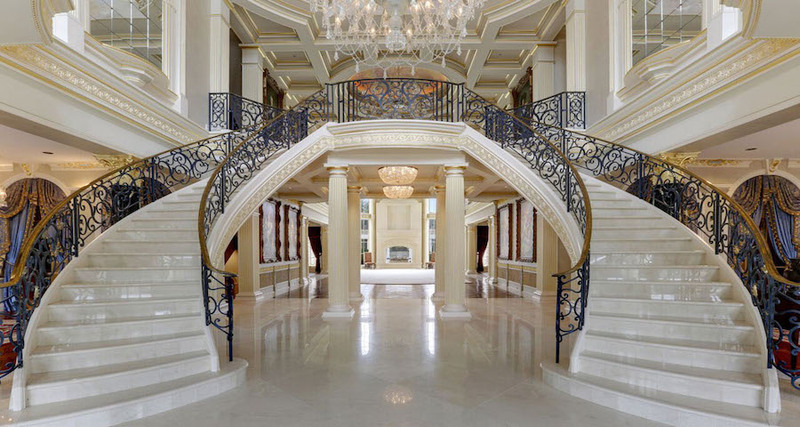 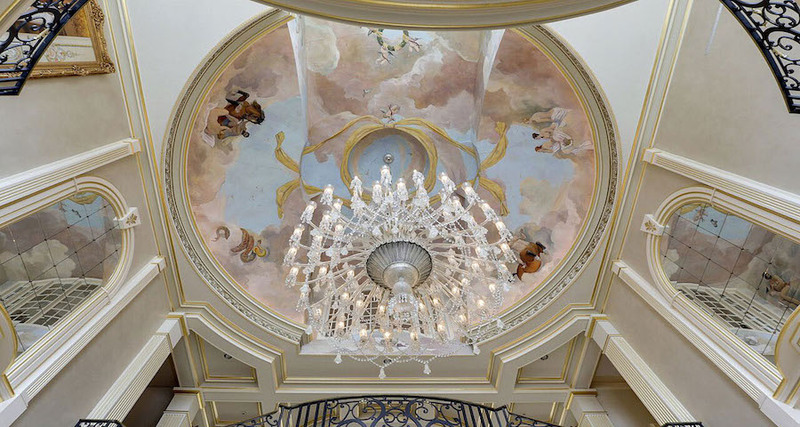 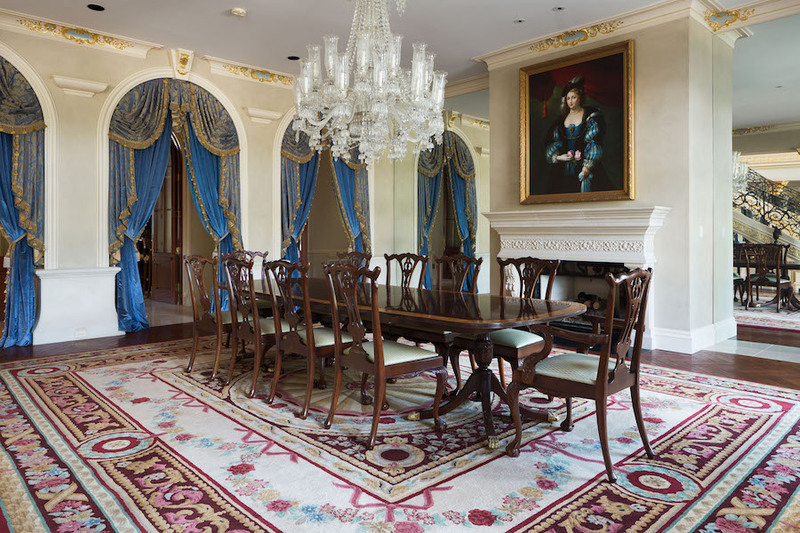 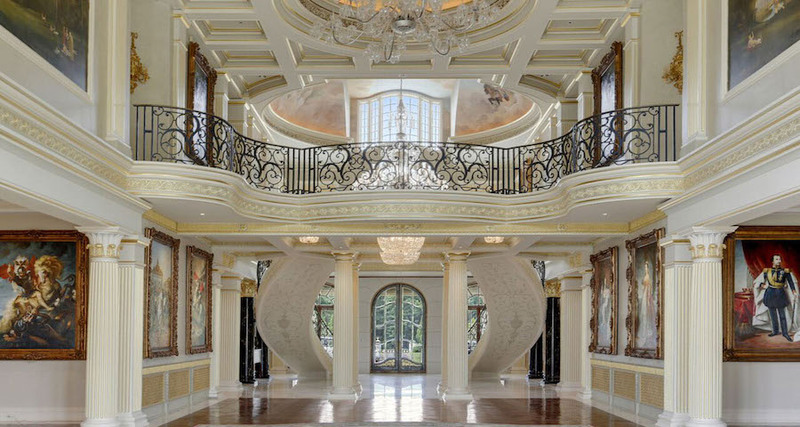 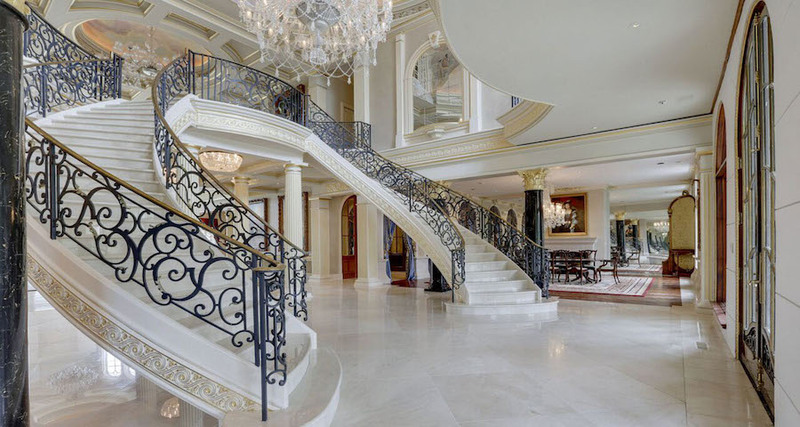 From frescoed ceilings and crystal chandeliers to large walls to hang your art collection to designer details on every surface, your new palace offers 360 degrees of aesthetic delights. 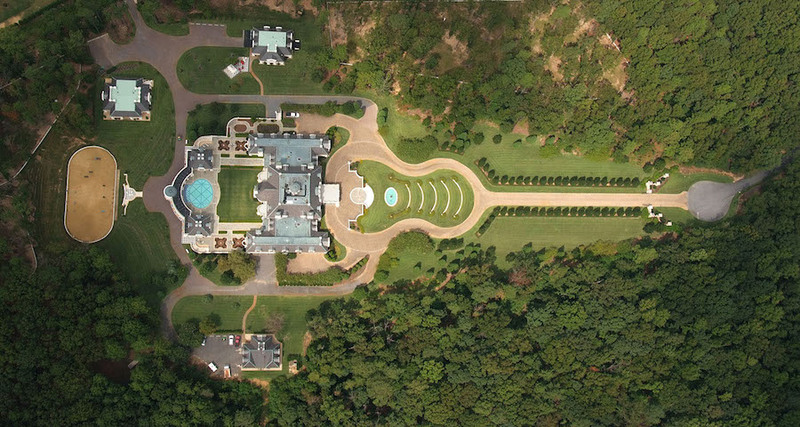 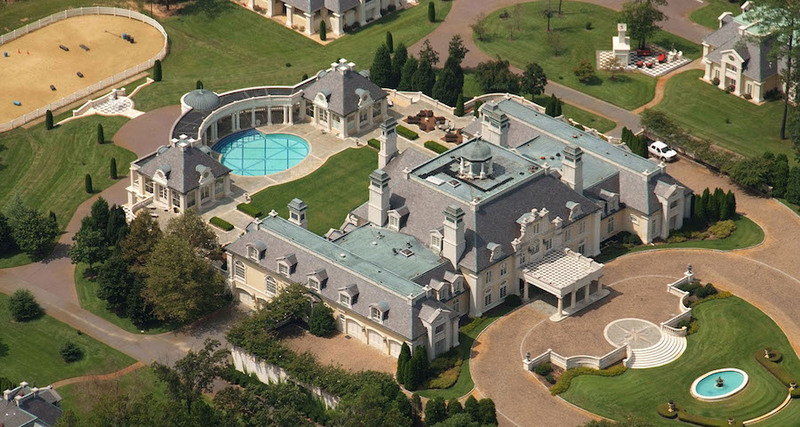 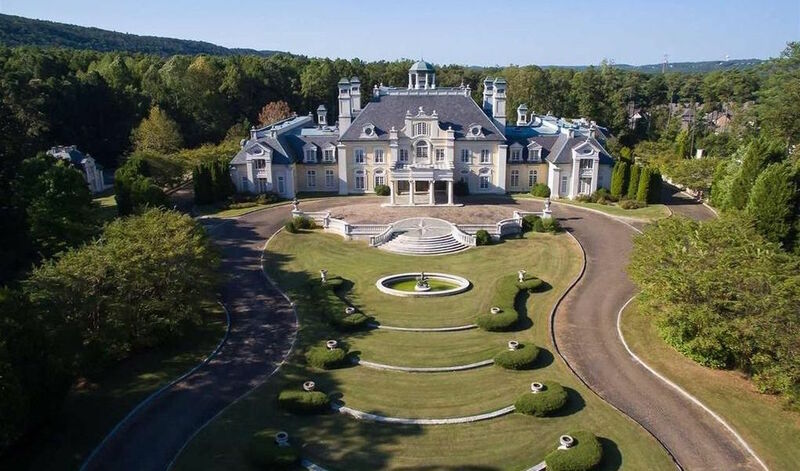 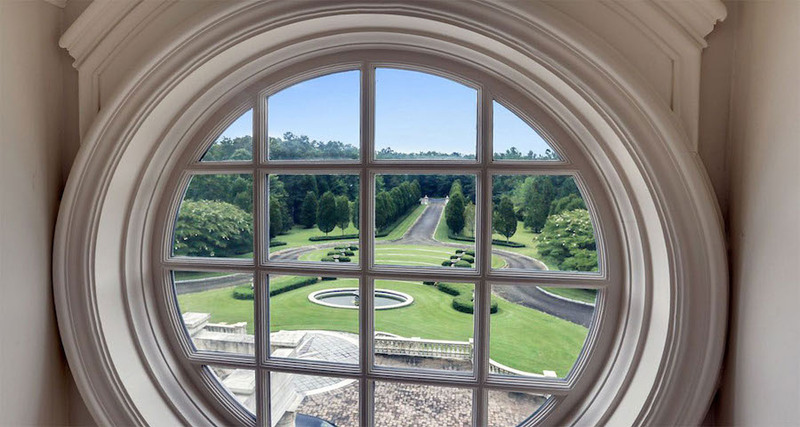 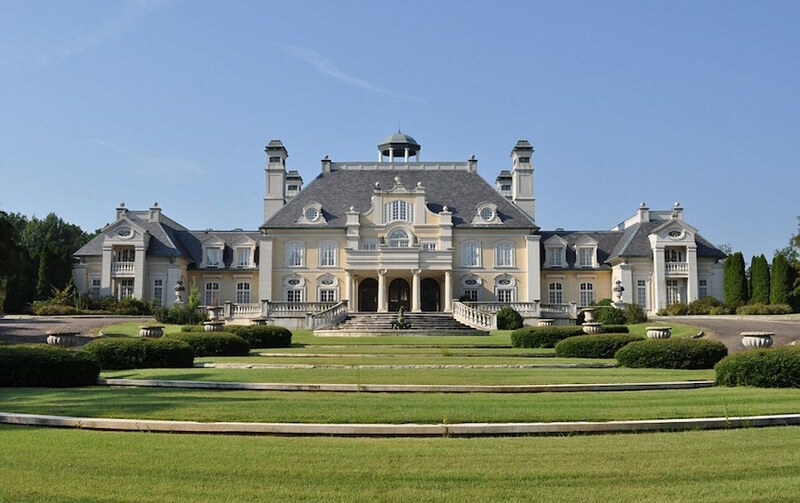 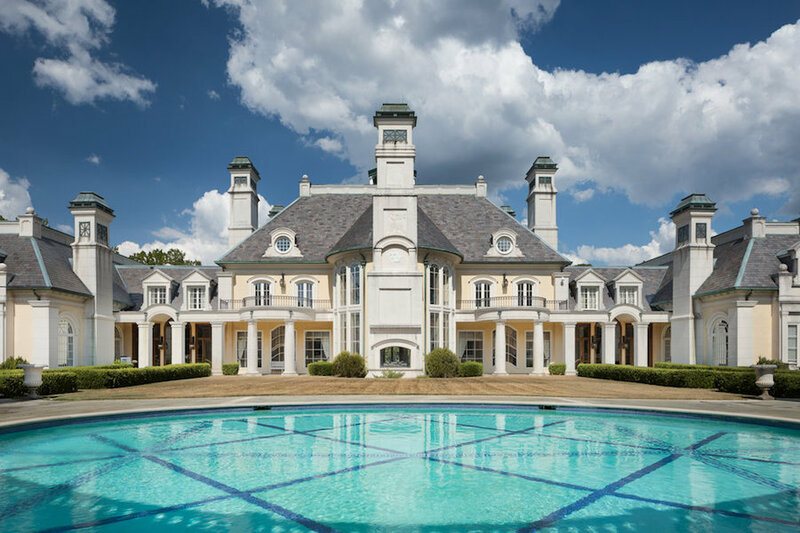 The 27-acre Alabama estate was the dream of owner Larry House, who spent over $30-million on the property in 1997, with splurges on draperies in excess of $400K, custom rugs costing $400K, and extensive 24K gold leaf accents throughout. 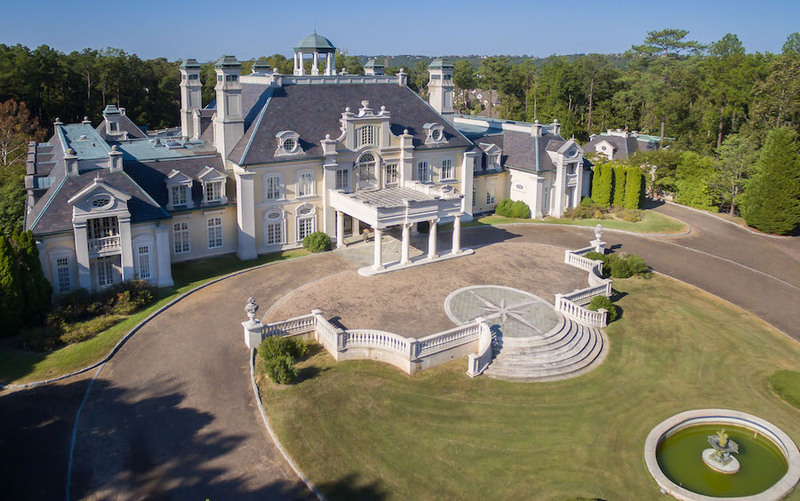 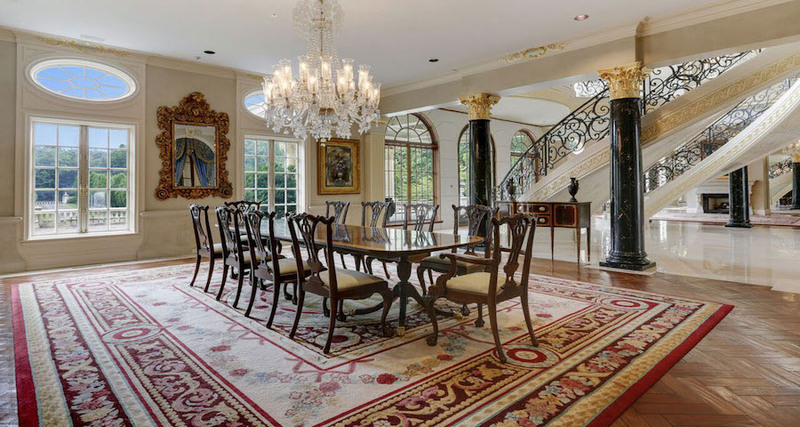 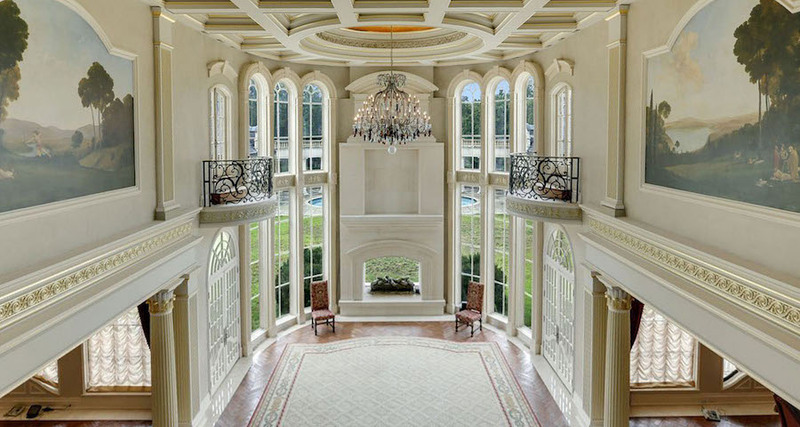 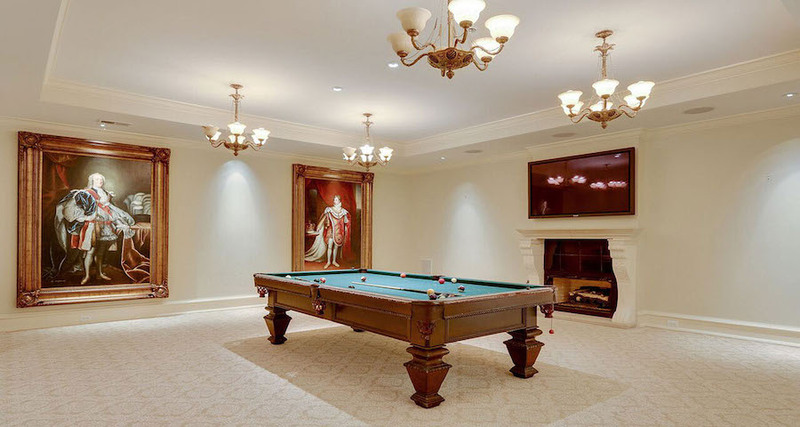 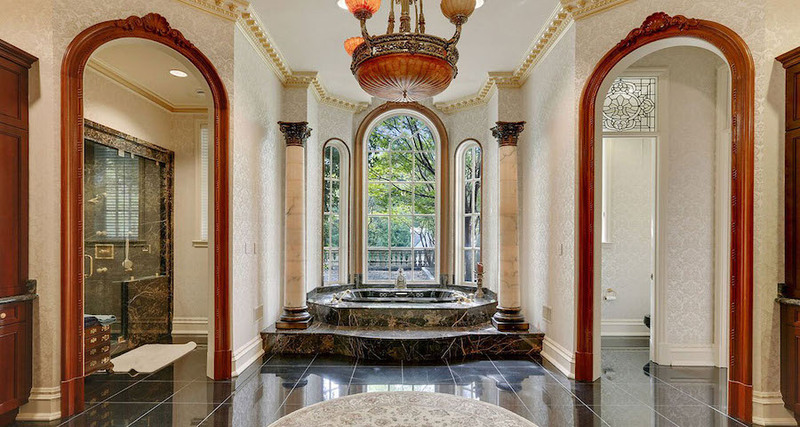 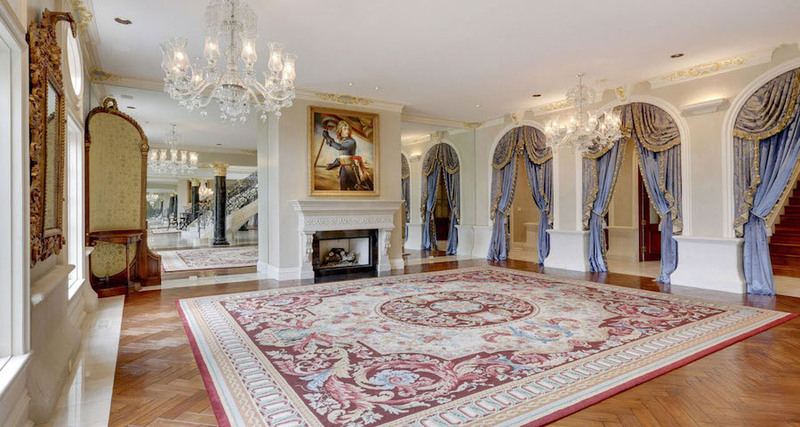 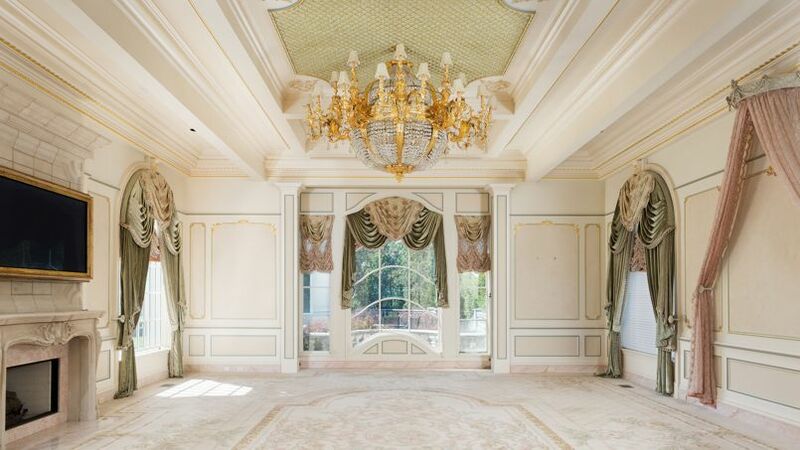 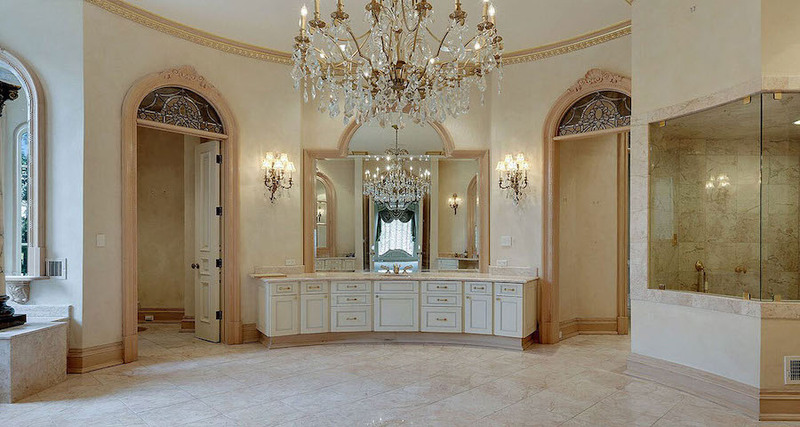 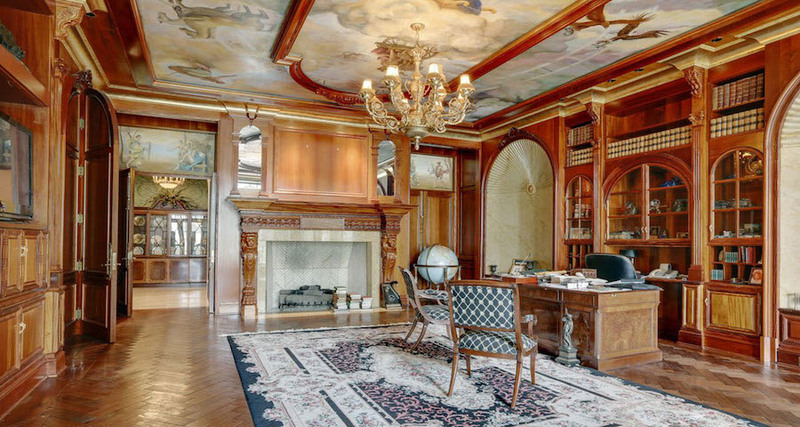 This isn’t the first time the opulent residence has gone to the auction block, it made headlines in 2003 when it sold for just $3.75-million, owner Larry reportedly bought it back due to the low sale price. 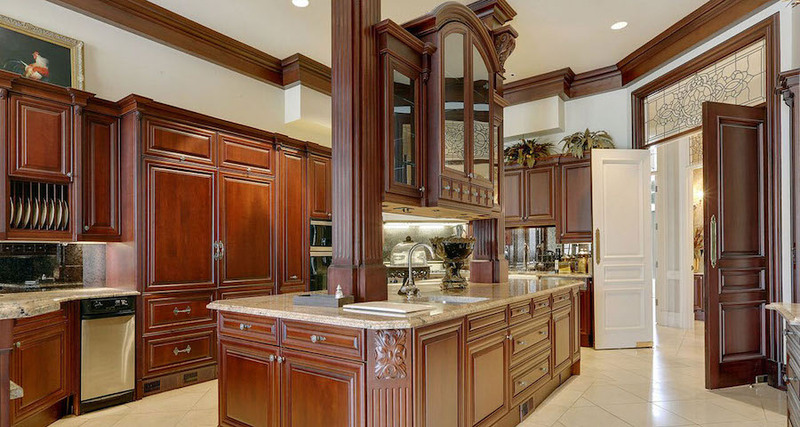 The entertaining possibilities are infinite. 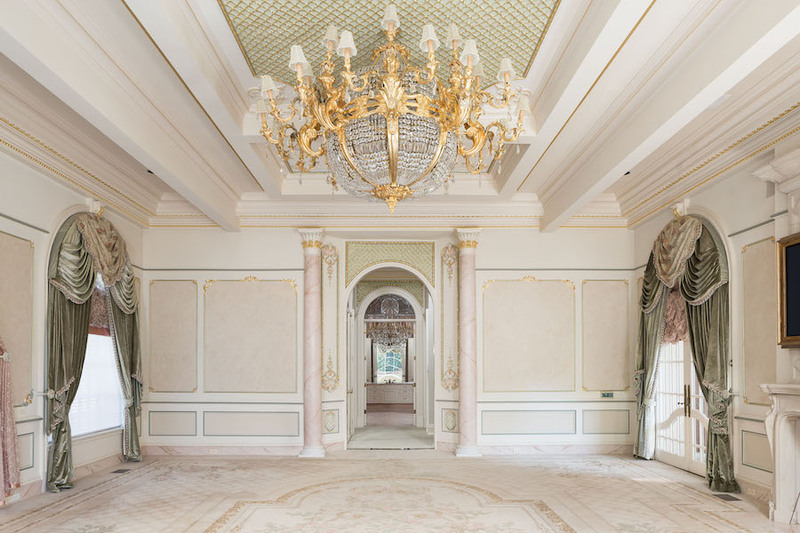 With large open spaces inside and out, Château Montagel is a rich backdrop for formal galas or poolside soirees. 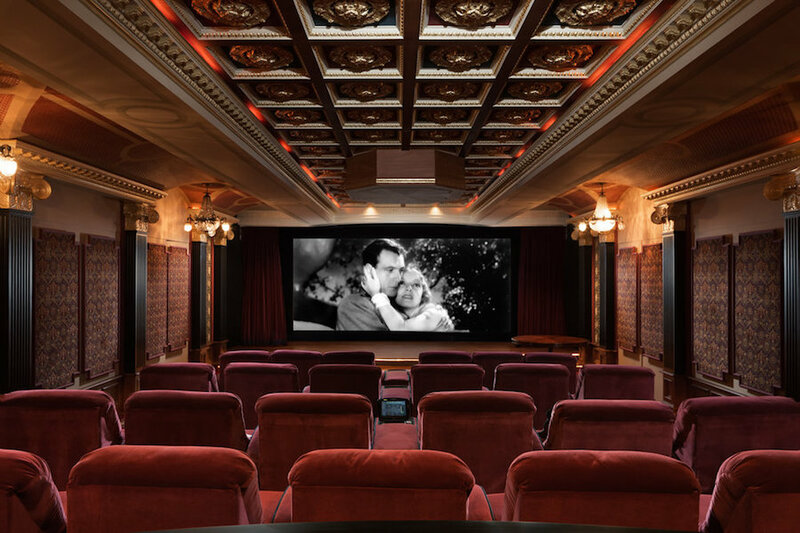 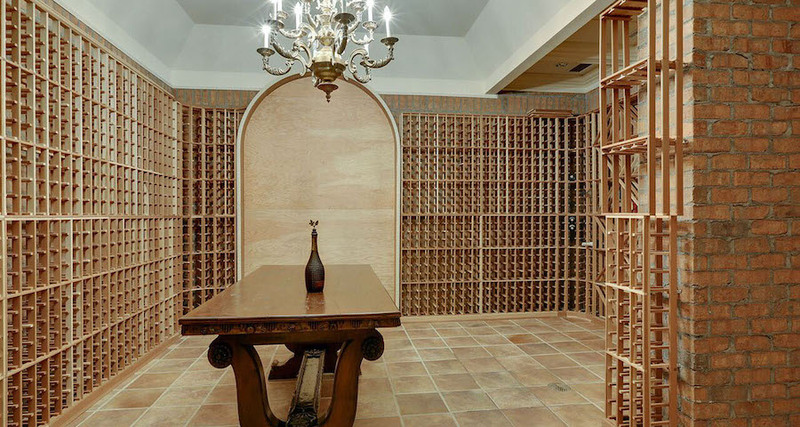 Host extended family and friends of all ages for screenings, game nights, or sophisticated wine tastings. 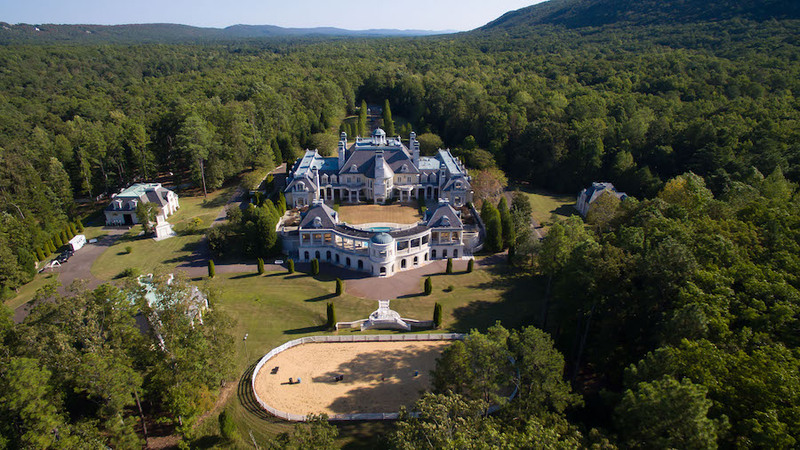 With plenty of space for equestrian activities and miles of meandering riding trails, there are myriad options for getting away from it all. 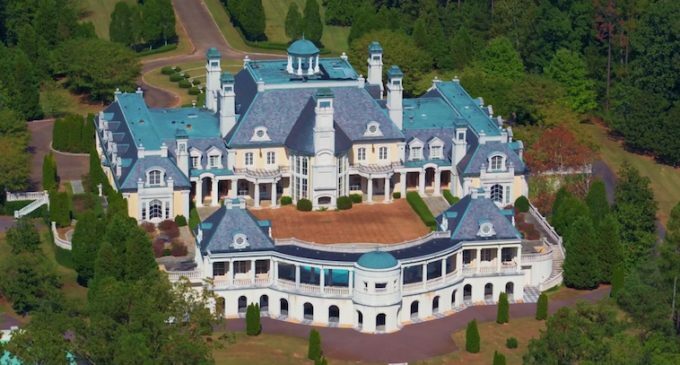 There are 15 bedrooms, 24 bathrooms, 12 fireplaces, an attached 12-car garage, mahogany windows & doors, antique pecan hardwood flooring, and two separate 800 square foot cabana houses. 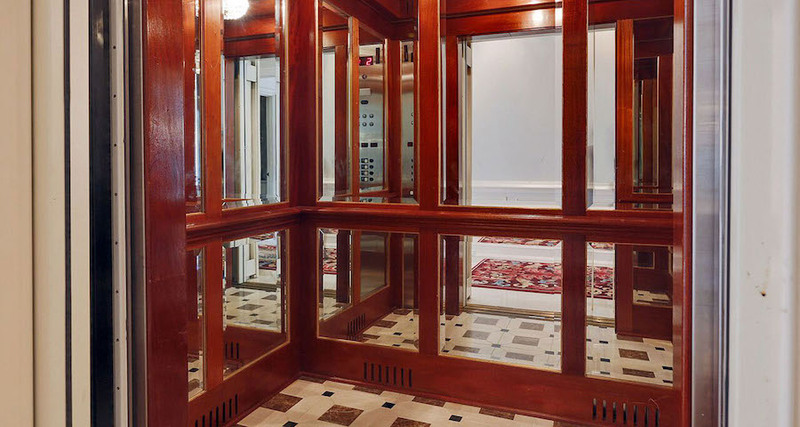 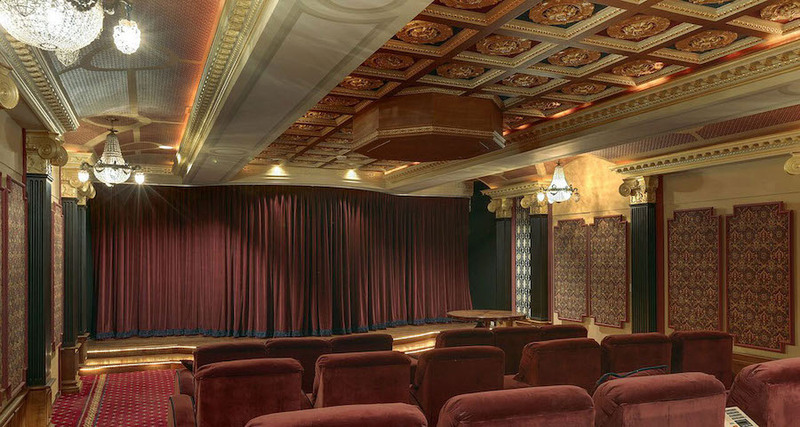 Take the commercial grand elevator to the lower level and enjoy the home theatre complete with box office and substantial 17′ x 7′ screen and seating for 25. 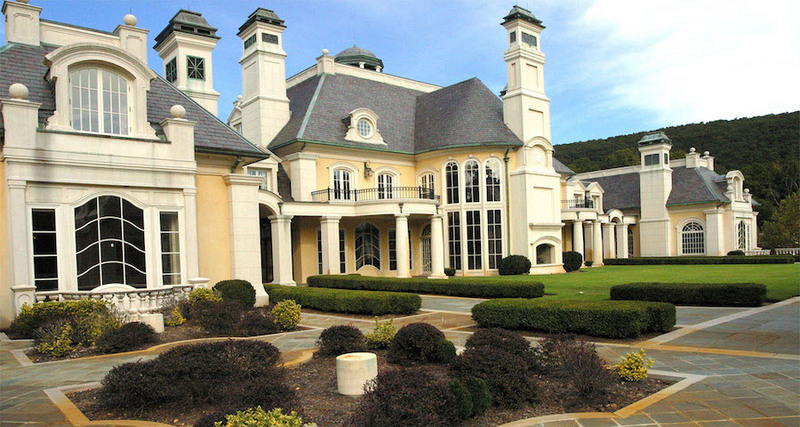 Also on the property is a world-class equestrian centre with 6-stall barn, enclosed pen, 4 pastures, and a riding arena. 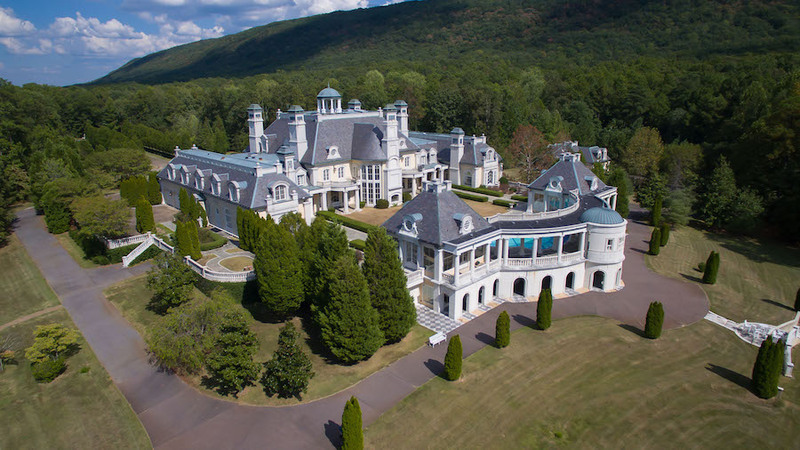 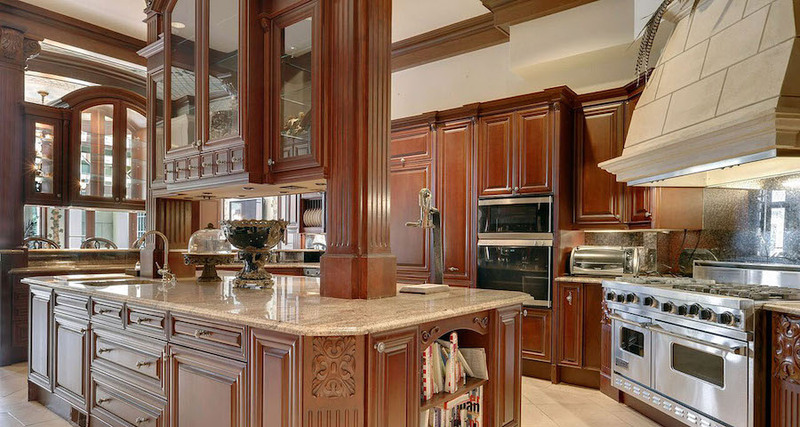 The possibilities are endless, don’t miss your chance to call this one-of-a-kind estate home. 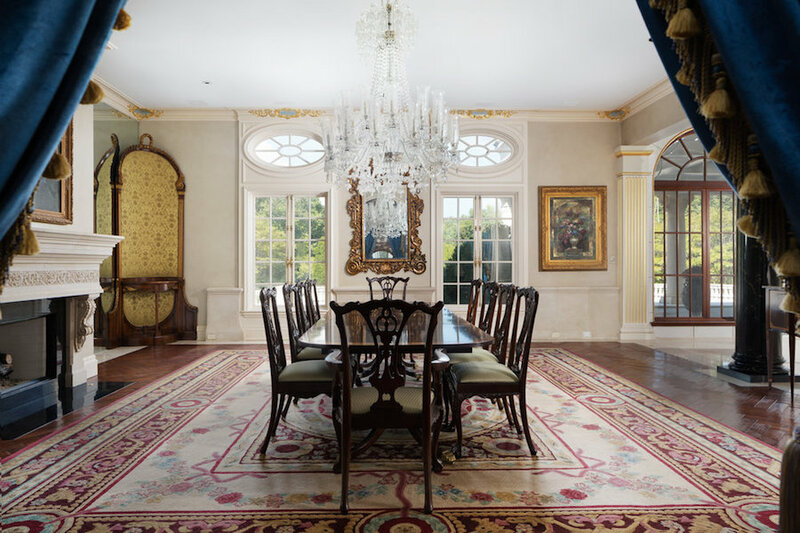 The property will be auctioned on December 20, 2016 with Concierge Auctions. 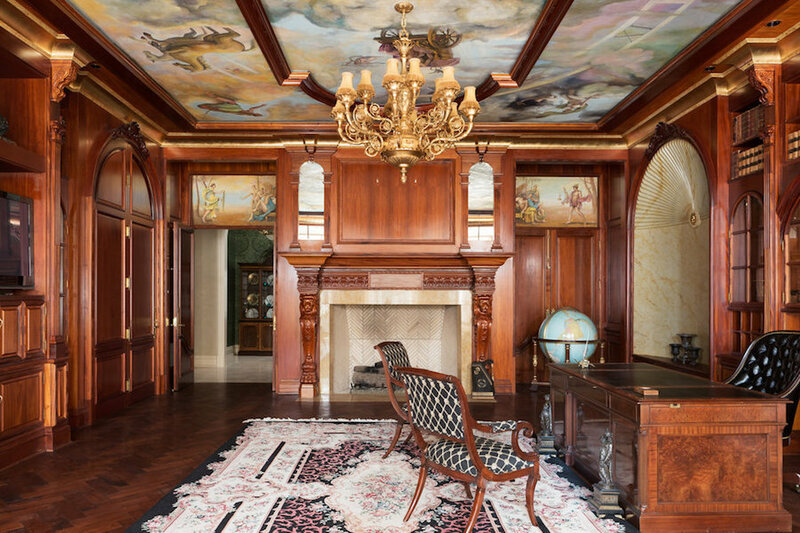 See below for a video from a previous auction.